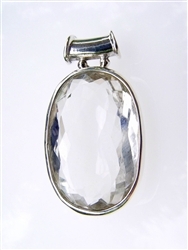 Hand made gem quality clear quartz pendant in sterling silver. The dimensions of the quartz are 20mm wide by 30mm high -- total length is 45mm - weight is approximately 70 carats. Laboratory grown clear quartz. 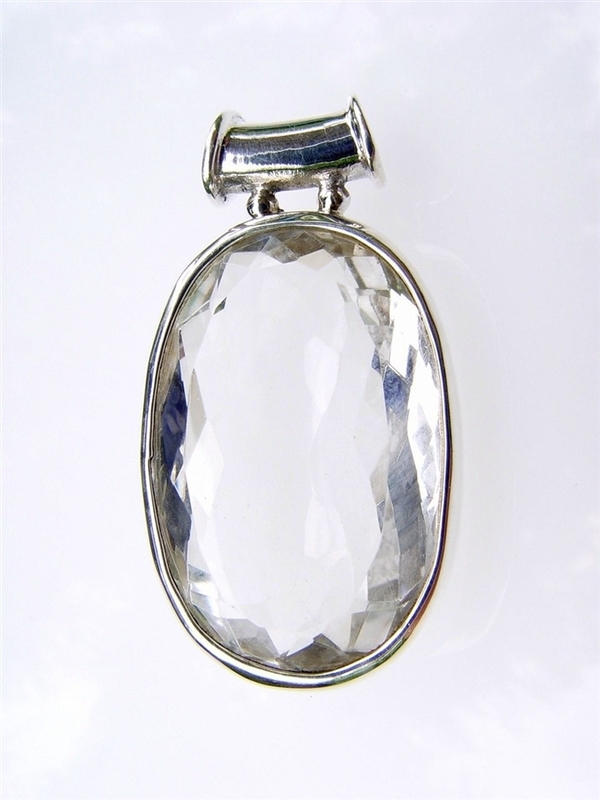 The crystal itself is 20mm wide by 30mm high -- total length of the pendant is 45mm - weight is approximately 70 carats.